In 1819 an Act of Parliament amended previous Acts and made parish vestries responsible for choosing a committee of twelve prominent people to administer the Poor House and appoint an overseer to run it. From its initial meeting on June 3rd, 1819, the Nonington committee met on alternate Thursdays at The White Horse at either ‘eleven of the clock in the fore-noon’ or at ‘six of the clock in the afternoon’ . Absentees from the meetings were fined 1/- (one shilling or 5 new pence, then half a days wage for a farm labourer) for missing a morning meeting, and 6d (sixpence or 2 1/2 pence) for missing an evening one. After “The Hawks Head”, as “The White Horse” became in 1826, closed in early 1832 the meetings were held at The Royal Oak in The Drove (lower Holt Street). A married man with a wife but no child; 9/- per week. A married man with a wife with up to three children; 9/- plus 2/- per child per week. A married man with a wife with more than three children; 9/- plus 3/- per child up to three, over three children 1/6d per additional child per week. 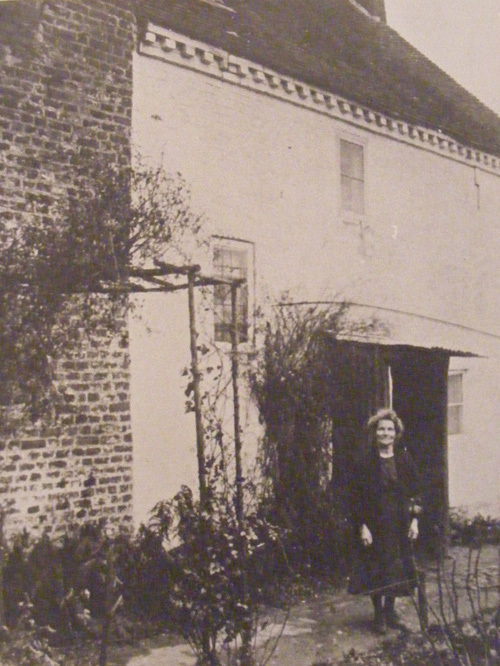 The old Poor House building, now Yew Tree Cottage, in Church Street viewed from the road in the 1930’s. The Poor House premises became seriously over-crowded and at the Vestry meeting of 1st. February, 1822, it was decided to build six cottages for the use of the poor on Poor House land further along Church Street. 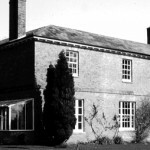 These were built by Messrs. Spanton, Nash and Maxted, local bricklayers and carpenters, at a cost of about £185. The site of these cottages is now occupied by a bungalow, a detached house and a pair of semi-detached houses. At about the same time the main Poor House building was converted into eight individual dwellings, the idea being that the some of the poor, especially families, would be more able to support themselves if they occupied their own dwelling instead of living communally in the Poor House. The Vestry meeting of 21st February 1822 appointed Thomas Clarinbould and wife, Harriet, to superintend the Poor House at a salary of £30.00 per annum. Part of their duties was to instruct the inmates in weaving and so the house began to produce woven goods for sale locally where products such as hop pockets (hop sacks) would have find a ready market. Hemp had been grown in Nonington since Saxon times and provided the yarn for weaving the fabric to make many everyday items including clothing. The old Poor House premises in Church Street as shown on the 1859 Poor Law Commissioners parish map. 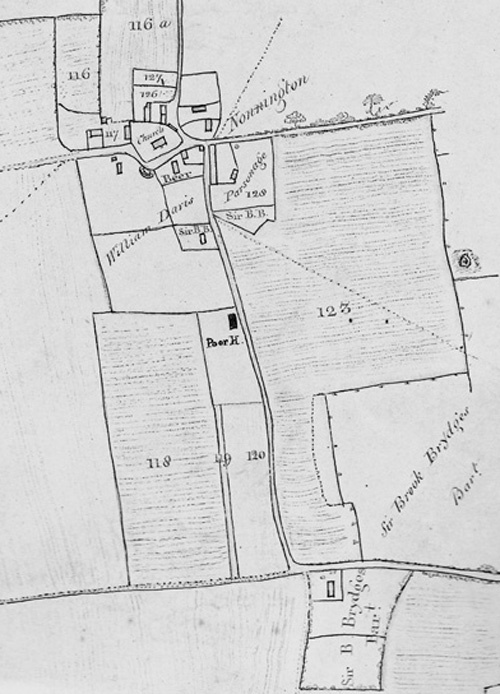 Many old documents refer to hemp plots and several field names recorded on the 1839 and 1859 Nonington parish tithe maps indicated their having been used to grow hemp, although large scale cultivation had declined by the early part of the 19th century as cheap foreign produced hemp became more readily available after the end of the Napoleonic Wars. The parish also had plenty of ponds suitable for “retting” or soaking the hemp to free the fibre for use in rope making or weaving. 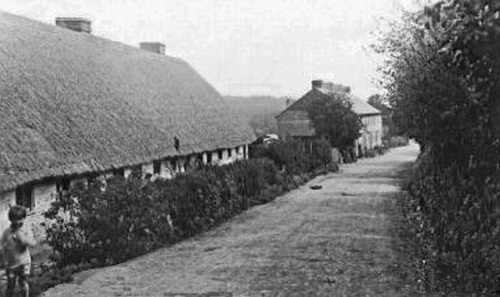 The rear of the old Poor House cottages viewed from the road in the 1930’s. The front overlooked the fields. Poor House records show that inmates were well fed for the times. Purchases of beef; pork; fresh fish such as herring and mackerel; and vegetables were made to supplement food and livestock produced on the house’s own land. Able bodied male paupers, both adults and children, were often employed in the Poor House’s gardens to provided food for the inmates. Pigs were raised on the premises with some of these reaching weights of 20 score (400 lbs/ 185 kgs) or more. Payments for their slaughter and butchering are frequently recorded, as are payments for cheese and butter. A doctor was paid an annual retainer to treat inmates, whilst midwifery and nursing assistance were paid for on an individual basis. There were also individual payments to old women from the parish for laying out the dead, payments for shaving and cutting the hair of inmates and for the employment of a teacher for the younger paupers. A closer view of the rear of the cottages. Church Street is up the bank to the left. The names of the children are unknown. Parishioners living in their own dwellings and eligible for poor relief received money from the parish for varying periods, usually due to illness or unemployment. Assistance was also given to unmarried mothers and widows. The Nonington Poor House was in general very humane for the times, Vestry minutes show clearly written instructions to those running the house that any persons entering therein should be washed and given good, clean clothing and be fed good wholesome food and that those inmates leaving the house should also be clean and well clad. Suitable female paupers were employed in the House or hired out as servants. Young girls going into service were provided with an outfit of clothing whilst young males were apprenticed with the Parish providing the necessary funds to pay for the apprenticeship. The Vestry gave financial assistance to some poor Nonington parishioners to emigrate. The minutes for the meeting of 25th March, 1830, record that John Plumptre Esq. of Fredville loaned the Vestry the sum of £115.0.0. for the purpose of sending some poor parishioners to North America, most likely Canada. The debt was to be repaid by the Parish at the rate of £15 p.a. plus £4 per cent p.a. Full repayment was not made for many years and cost the parish several times the initial loan before the debt was eventually discharged. 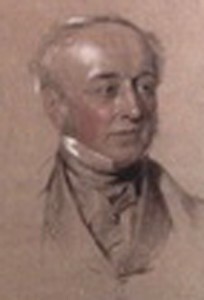 Not long after Mr. Clarinbould’s appointment the committee decided to farm out the running of the house with the overseer contracted to feed and clothe the inmates for 4/8d per week per head. In return for doing this he received the income generated by the inmates from products they made and from their being hired out to work with safeguards put in place to prevent any unfair exploitation of the hired out workers. Inmates were often employed to repair the roads in the parish, road repair and maintenance being the responsibility of the parish, in return for poor relief but were hired out to wealthier parishioners at fixed rates of pay. Adult paupers received 2/- (10 pence) and boys six pence (2 1/2 pence) per day which they initially were allowed to keep, but after the “farming out” of the Poor House’s administration their wages were kept by the overseers and put towards the cost of paupers upkeep. During periods of high unemployment wealthier rate payers were obliged to employ those on poor relief, with the number they had to employ calculated by the amount of parish rates paid, a system which was not to the satisfaction of all in the parish. Following the report to Parliament, the Poor Law Amendment Act of 1834 formed parishes into unions which took over the responsibility from individual parishes of looking after the poor. Nonington joined the Eastry Union which came into being on 27th April, 1835. The Eastry workhouse stood on the western outskirts of Eastry, and after is closure as a workhouse in the 1930′s it became a hospital which closed in the 1990′s. The main buildings have now been demolished. Each parish sent its poor to ‘the Spike’, as the workhouse was better known, with the costs of looking after them met by rates levied on the Union’s composite parishes. After Nonington joined the Eastry Union the Vestry was allowed to sell the Poor House properties to clear the large debts attached to them. A note in the Vestry book records the properties as: “The late workhouse now converted into six cottages, also six other cottages and two other cottages (in Easole), each of the cottages has a good garden of 20 perches (one eighth of an acres or 605 sq. yards) except the last two which have no garden”. 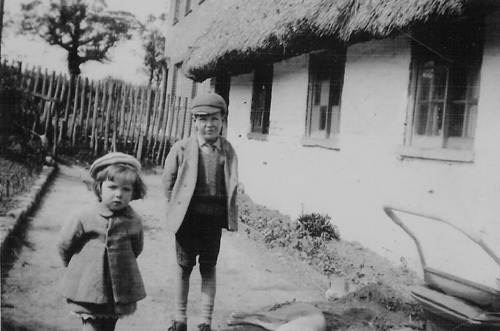 The Easole cottages had previously been rented out at 2/- (10 pence) a week. The Vestry meeting of 8th January, 1836, agreed to sell the all the Poor House premises and on 3rd. November of that year they were auctioned by Messrs. White and Gauldon, Auctioneers. The late workhouse made £150.00, the six nearby cottages in Church Street £220 and the gardenless Easole Street Cottages £.31.00. The Easole Cottagesbecame part of the St. Alban’s estate and were bought by Harvey’s the seed merchants when the estate was sold off in 1938, and were used for storage until their demolition in the mid-1950′s. Poor House cottages in Easole St. The site is now the car park opposite Harvey House. 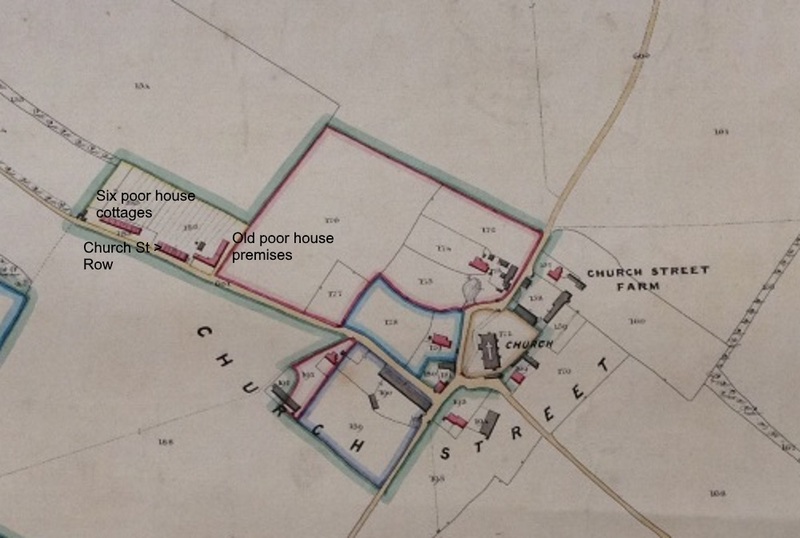 The main Poor House premises in Church Street were shown on 1839 tithe map as belonging to Mr. Spanton and in total consisted of fourteen occupied cottages; eight were in the main building and six in the adjacent Poor House cottages. The eight cottages in the present Church Street Row appear to have been built in the early 1850′s on the land between the main house and Poor House cottages. 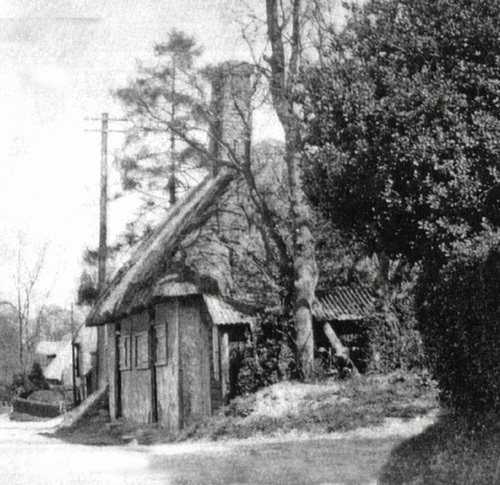 The thatched Poor House Cottages were partly demolished in the early 1960’s, and the remains became the house next to “Jubilee”, a bungalow built on the remainder of the site in the 1977, the year of Queen Elizabeth II’s Silver Jubilee, hence the name. My great great grandfather moved to Nonnington in the 1850’s presumably to work on railway construction. He married Emily knott daughter of William and was living in Church Street in the 1861 census. Emily was a widow, having married Samuel Trice (also of Church Street) who died soon afterwards. Emily’s brother William had a child with Mary Ann goodsole (also of Church Street) called Arthur. Arthur’s early life is a complete mystery but in his twenties he moved north and stayed with his aunt Emily. By this time, with the railway built, Emily’s husband presumably had no work and had moved back to his northern roots. Arthur married in Oldham and lived there for many years and his son Harold Knott eventually married Emily’s granddaughter Minnie Mitchell. They were my grandparents. So, although nonnington is a long way from my family base, it is a place of great interest to me and I was fascinated to come across this website, especially its photos of Church Street, where my ancestors lived. Sadly I don’t think any of these buildings still exist, though the church where several of my ancestors were married or Baptist does and I plan to visit in the summer. My thanks for creating the website and I would love to know if anyone has information on the families who lived on church street. Whilst researching my family history I have discovered that some of my ancestors lived on Butter Street, Nonington. Their names are James, Charlotte and Esther Folwell. I would be grateful if anyone could provide some information about this family. Esther married James Dyer in 1847. Many thanks for your reply. I will check out the information you advised. This is a great website – very informative and the photos are excellent. I would be most interested in further information if possible. If you use the site search using the variations of spelling you may come up with some more info. My father was born at Yew Tree Cottage, 1 Church street, Nonington in 1915 and lived there until the death of his mother in July 1935. Was this cottage part of the poorhouses you refer to in your article and in any of your photos? Yes, it was part of the Poor House, probably part of the early 1800’s extension. My apologies, I hadn’t realized the part of the article describing the location had gone missing, I’ve put it back in again. What was your father’s name, please? I live in New York but I lived in that house . My parents bought it around 1967. I have such wonderful memories of that house and nonington. I made the front door for it which last time I checked was still there..